Springfield Armory has introduced a new tactical model of its 1911 Operator pistol during the 2015 SHOT Show. The new Marine Corps (MC) Operator features an accessory rail for mounting flashlights, laser sights and other accessories as well as night sights and an ambidextrous safety. It also sports a speed hammer and a larger beavertail grip to aid gripping and drawing. The pistol was originally designed to military specifications when Springfield went to bid for a USMC contract. 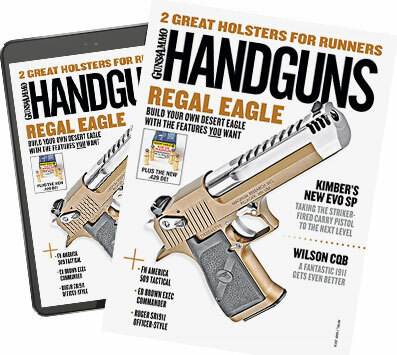 In addition, the MC Operator incorporates a new balanced front grip texture instead of the wrap-around grips standard on previous 1911 Series pistols. The Springfield MC Operator 1911 will retail for $1,299.